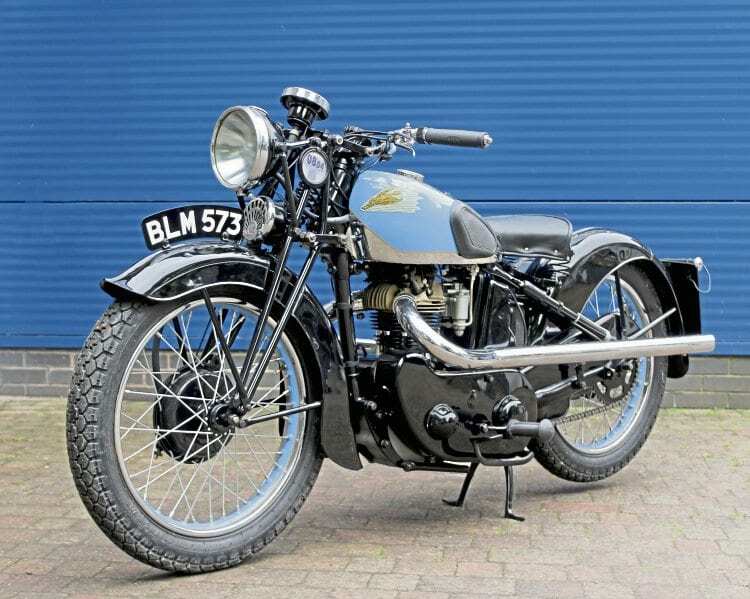 A rare collection of AJW motorcycles from the 1920s and 30s is now on display at the Lakeland Motor Museum in Cumbria, and includes a 1934 Flying Vixen and a 1933 Flying Fox that was tracked down to the Netherlands, where it lay in a completely dismantled state before undergoing a meticulous 18-month restoration. This immaculate 1934 AJW Flying Vixen is one of six examples of this rare and beautiful make now on display at the Lakeland Motor Museum by courtesy of the Wheaton family. Other AJWs in the collection are a 1934 Red Fox racer and a 1928 Blackburne-engined experimental machine. Founded by Alfred (John) Wheaton in 1926, AJW was a tiny enterprise that rarely produced more than 150 motorcycles per year, and the models in the Lakeland Museum display date from 1928 to 1934, Wheaton’s most successful period in business. The six AJWs unveiled at the museum brings the number of motorcycles on show at the popular attraction to almost 90, ranging from a collection of Vincents from the 1930s, 40s and 50s to a display of racing Superbikes on loan from TT hero John McGuinness.